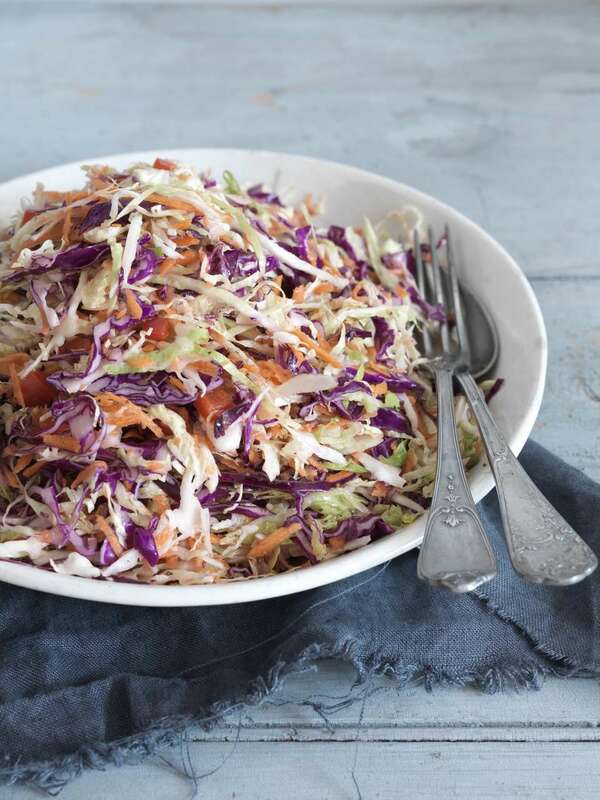 Dottie's coleslaw is made with a hot vinegar dressing. It's similar to this Carolina slaw, and it would be wonderful on fish tacos, burgers, or pulled pork. Combine shredded cabbage, onion, and green pepper in a large bowl. Heat dressing ingredients in a medium saucepan until sugar is dissolved and syrup is boiling. Pour boiling syrup over cabbage and let stand until salad is cold (do not stir). When cold, cover and place in refrigerator to chill for 24 hours. When ready to serve, stir to mix cabbage. It's nice because you can make it days ahead.